“Stop, Drop and Roll”, 911, the need for working smoke alarms, exit drills, and the responsibility of babysitting. Check up with a Medic Program and Welcome Home Program. Click here to find out about these two new services to the community. 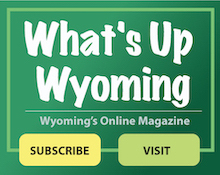 In addition, Wyoming Fire & EMS maintains a presence at virtually every community event such as May Fete, the Wyoming Art Show, Fourth of July, Fall Festival, Pooch Parade, Wyoming home football games, Touch-A-Truck, and many more.